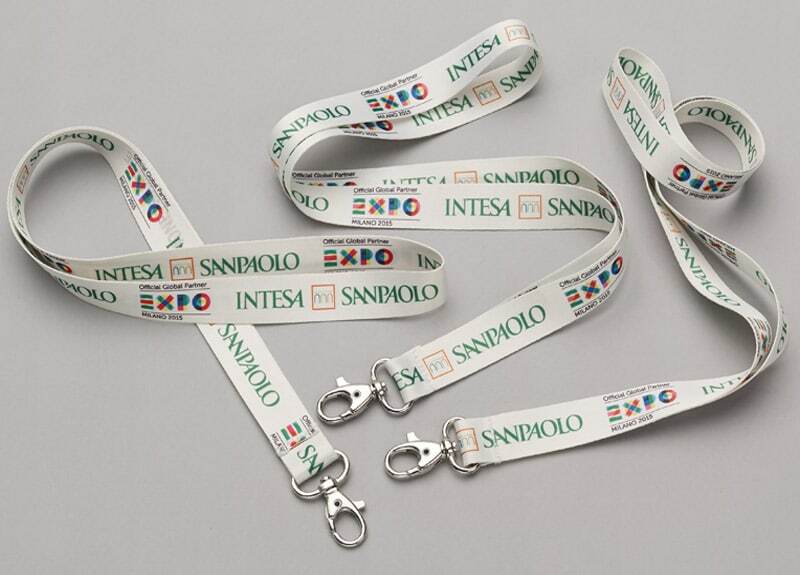 Alisea produces exclusively in Italy in partnership with an established supply chain that gives great flexibility both from the point of view of the project and the minimum print run. 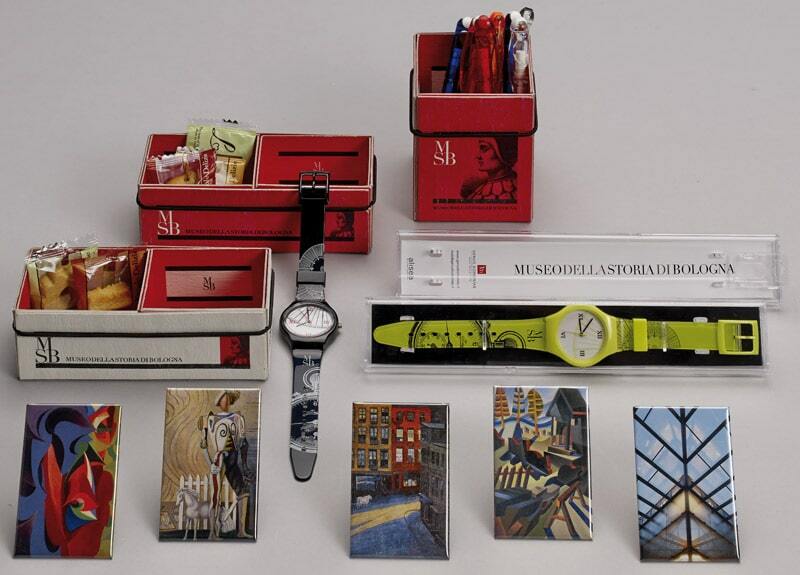 As a result, Alisea offers each customer the opportunity to have a collection of objects that communicate their corporate identity. Over the following pages there are some examples of corporate communication that show new ways for companies to tell their stories. The G-Bag, the only bag printed with recycled graphite. Perpetua – The pencil, made of recycled graphite. Perpetua, the only pencil made of recycled graphite, an item that synthesizes the principles of innovation, research and eco-sustainability. Customized using silkscreen printing. Binder is made using Ecophilosophy paper. 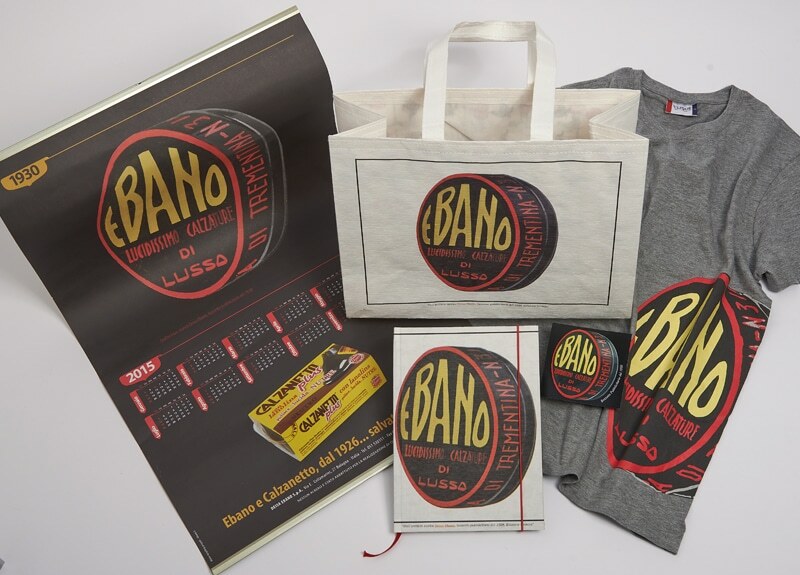 Customized using the gold silk screen cover, the same color as the logo of the famous Venetian hotel. 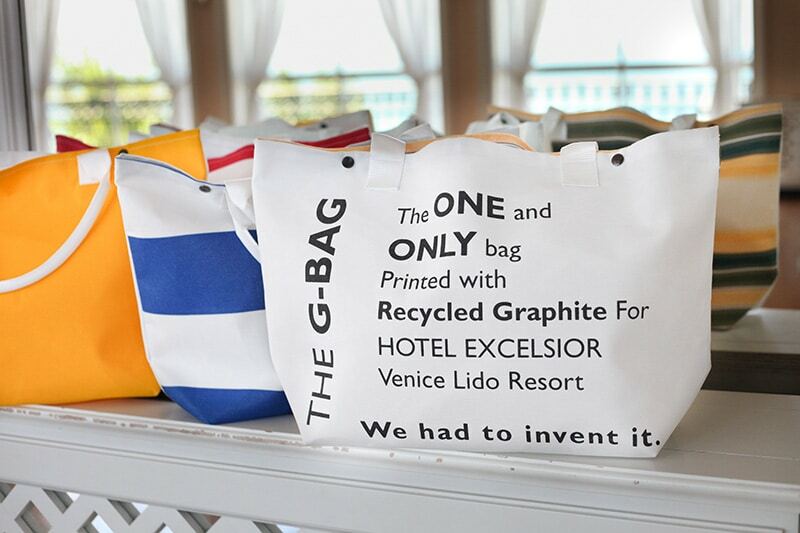 “The ONE and ONLY bag printed with Recycled Graphite for Hotel Excelsior Venice Lido Resort. “The G-Bag is the innovative beach bag developed by Alisea, created by using industrial waste materials from Gibus The Sun Factory, so that nothing is wasted. 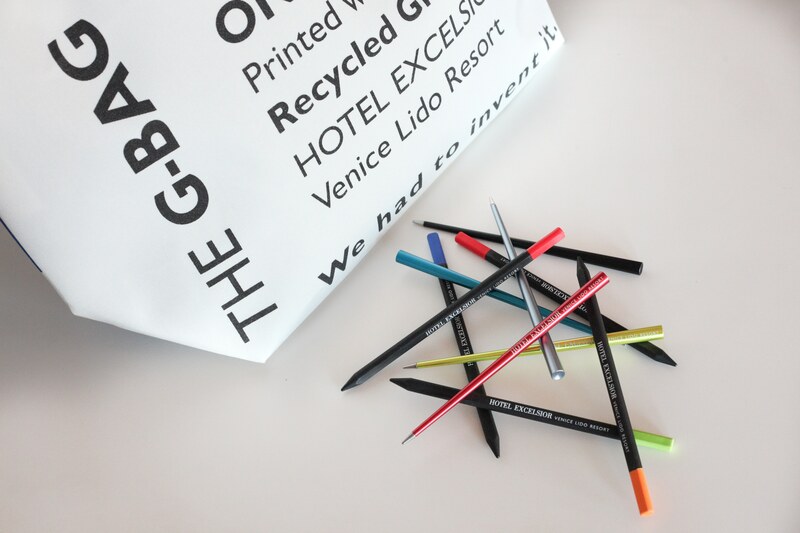 The absolute novelty in the product lies in its print with recycled graphite powder, a collaboration between Alisea Recycled and Reused Object Design, Gibus The Sun Factory and Hotel Excelsior Venice Lido Resort. 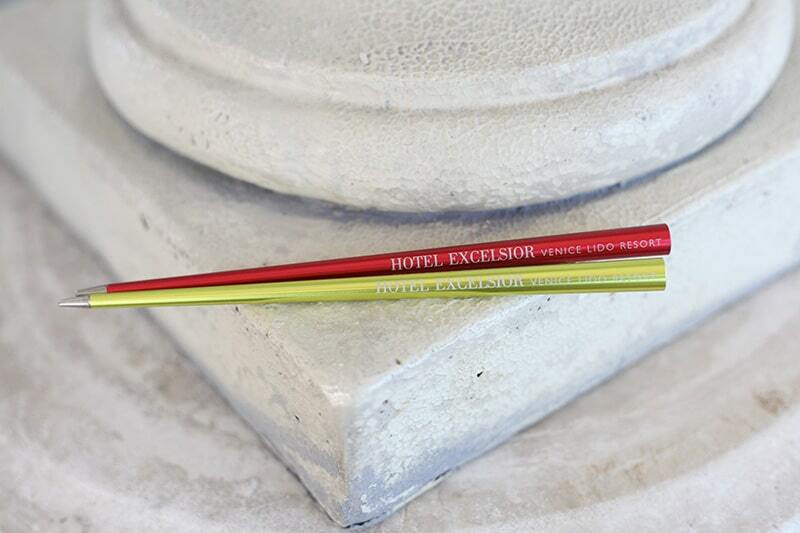 With a precise mark like a pencil and an exclusive and elegant design, 4.EVER writes with no ink and no refill. The mark line is not erasable. The tip is made from a patented alloy of metals, for a endlessly writing. Forever is made in Italy. Customized using laser engraving technique. Juta Shoulder Bag dyed using water based ink. Notes with internal recycled paper. Perpetua the pencil made of recycled graphite. 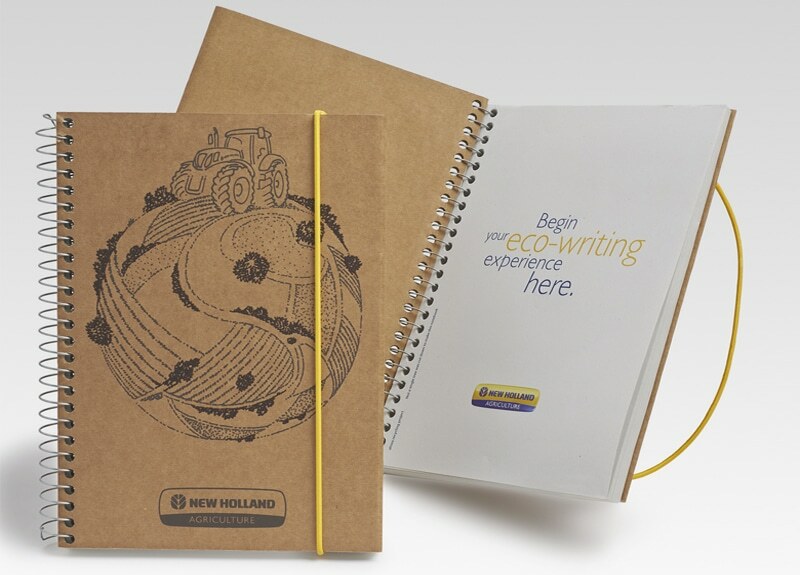 No trees were cut down to produce the New Holland Agriculture notebook made by Alisea, the inner sheet and the cover are in recycled paper and, the spiral is made of recycled aluminum and no type of glue has been used for its production. 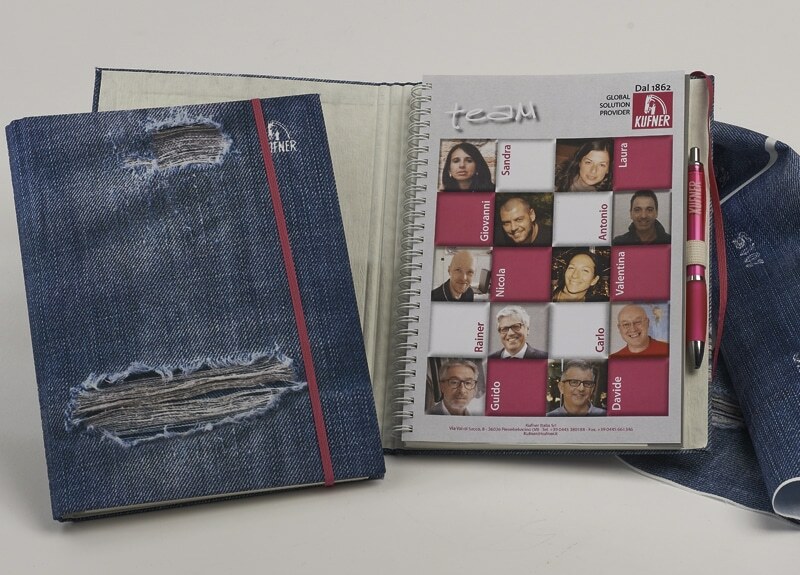 The cover shows the company logo and the artwork of Armando Orfeo “Mondo in T7″ created exclusively for New Holland Agriculture. 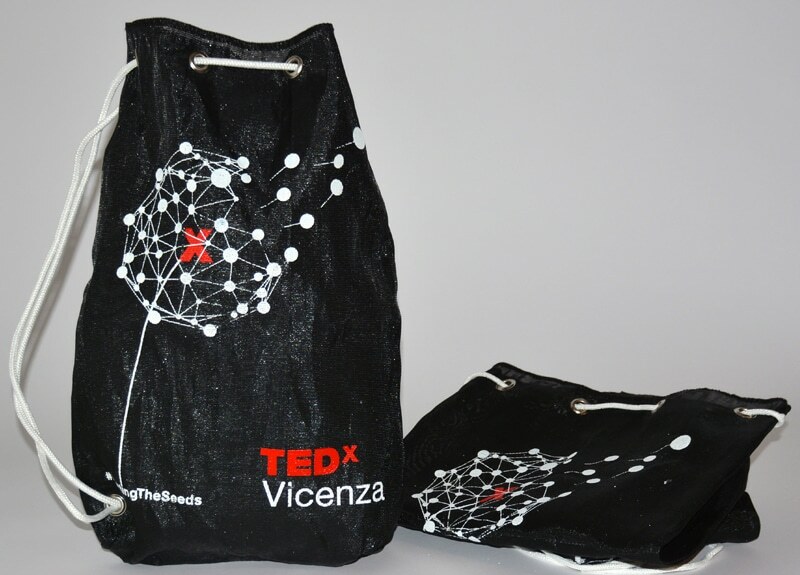 The Corporate Communication incorporates the logo of the first edition of TEDx Vicenza, “Planting the seeds”. The Pencil made of recycled graphite. The XBAG born from the ricovery and reuse of “shading nets” use in agriculture to protect buds from the scorching heat of the sun, frosty nights and weeds. 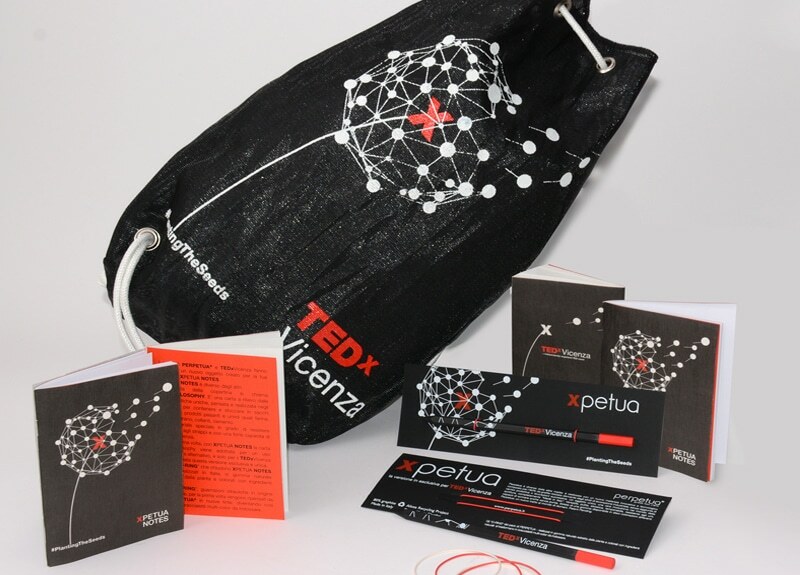 The material makes every print looks different, giving to each XBAG the added value of uniqueness. 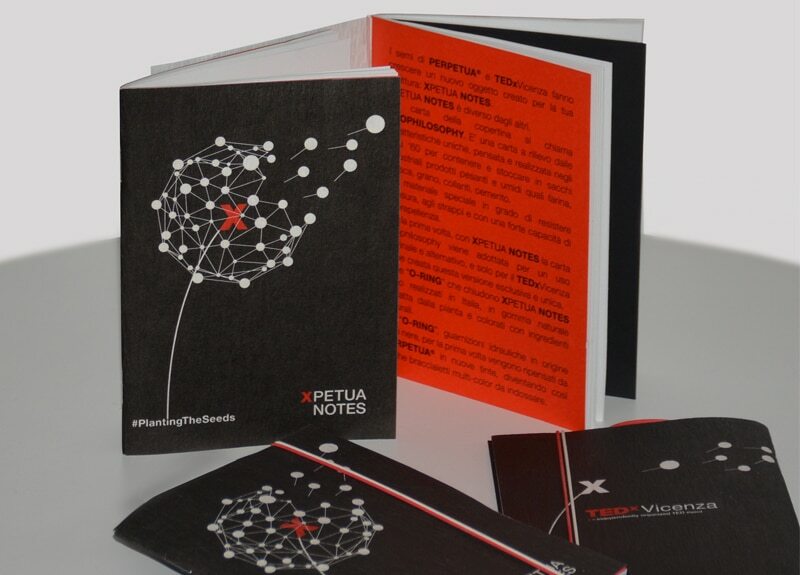 XPETUA NOTES is different. The cover is in Ecophilosophy paper. 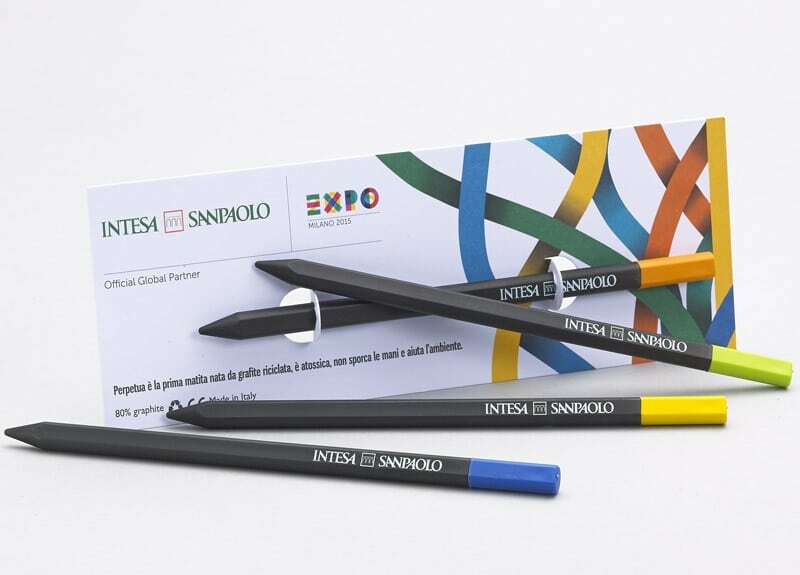 The two “O-RINGs” that close XPETUA NOTES are made of natural rubber extracted from the plant and colored with natural ingredients. Made in Italy. The coordinated communication made from the reuse and recovery of adhesive interlining produced by Kufner, in PET beverage recycled bottles. 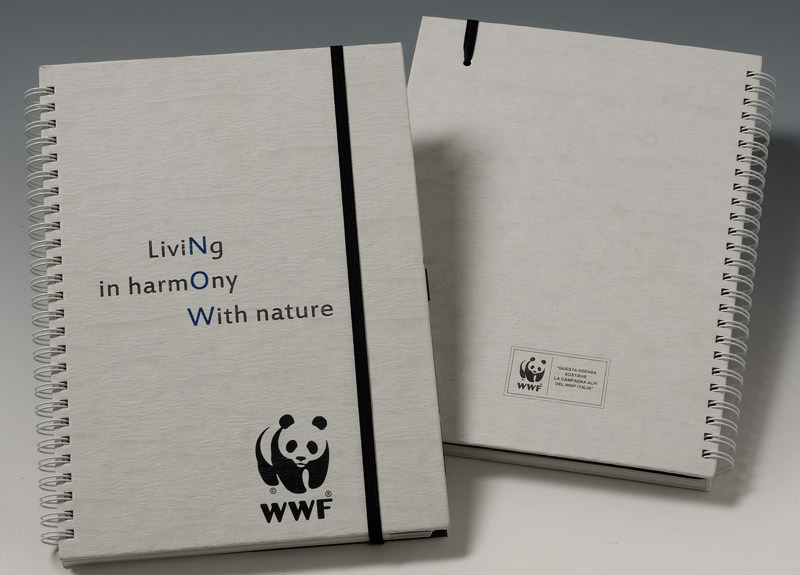 Only recycled paper for internal pages, so no tree has been cut down to produce it and soy-based inks for printing. The only pencil made of recycled graphite. 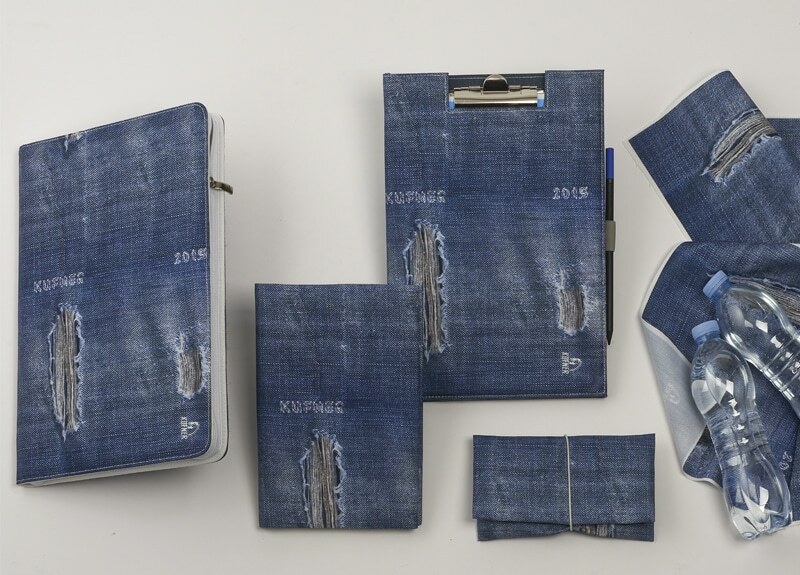 Made of recycled PET fabric. Ecophilosophy cover. 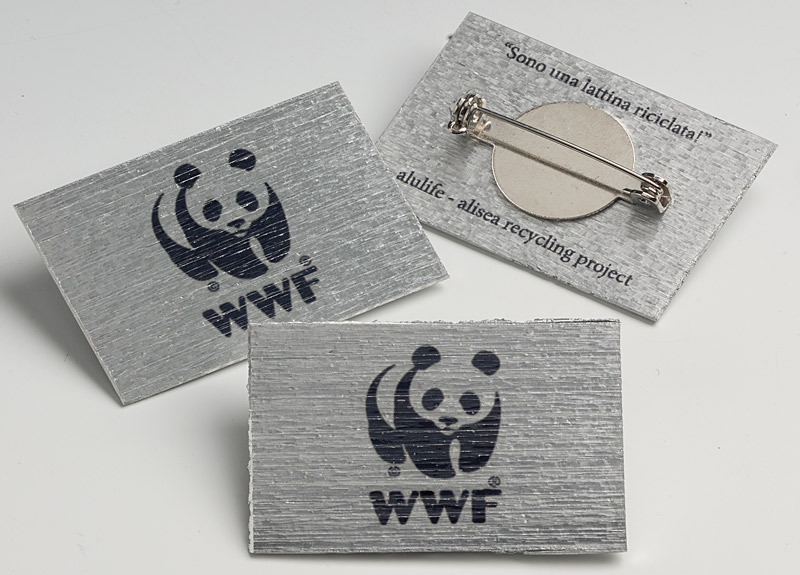 100% recycled paper. Made of recycled aluminum beverage cans. 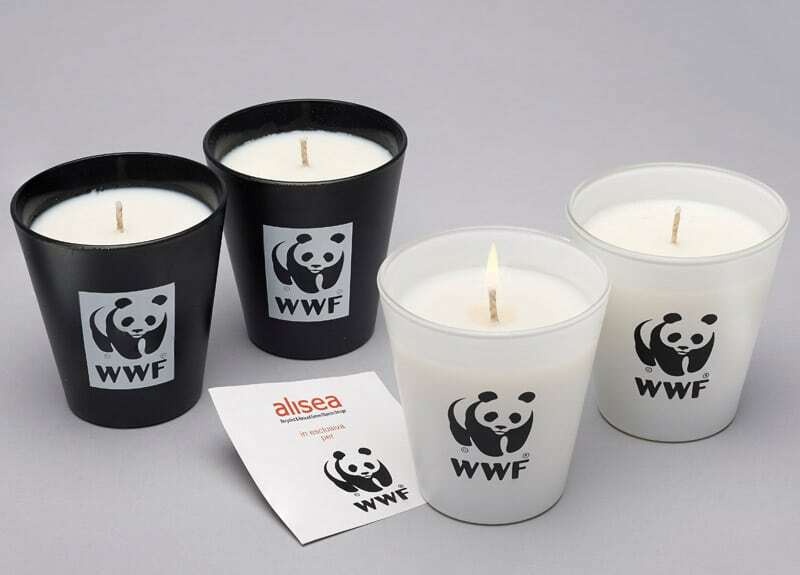 Glass container, wax with certified sustainable palm oil. 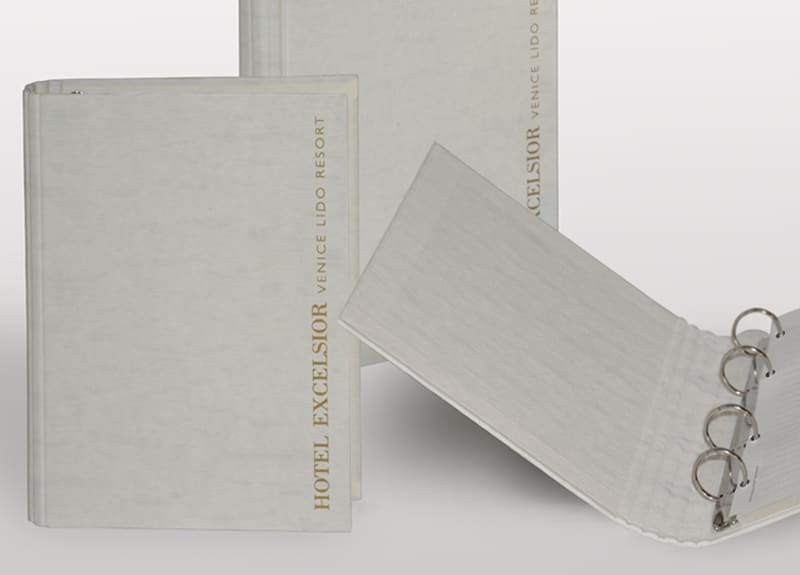 Embossed paper, glue-free. 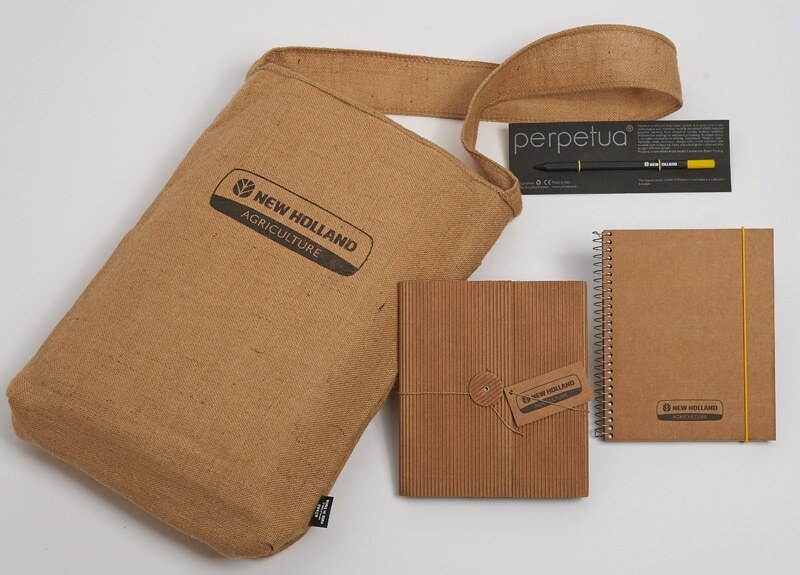 The covers of the notebooks are made using the leftovers from the production of the shopping bags, the inside is 100% recycled paper. 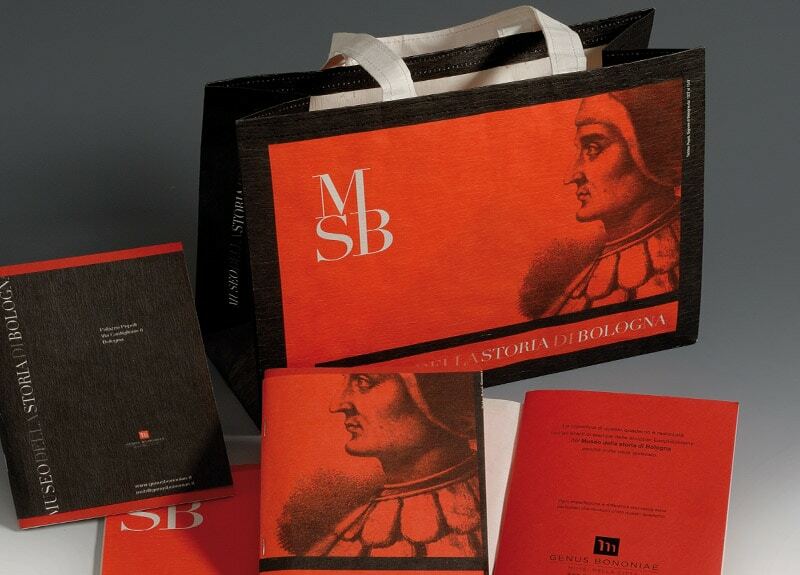 The objects created by ALISEA exclusively for the Museum of the History of Bologna are on sale in the museum bookshop. 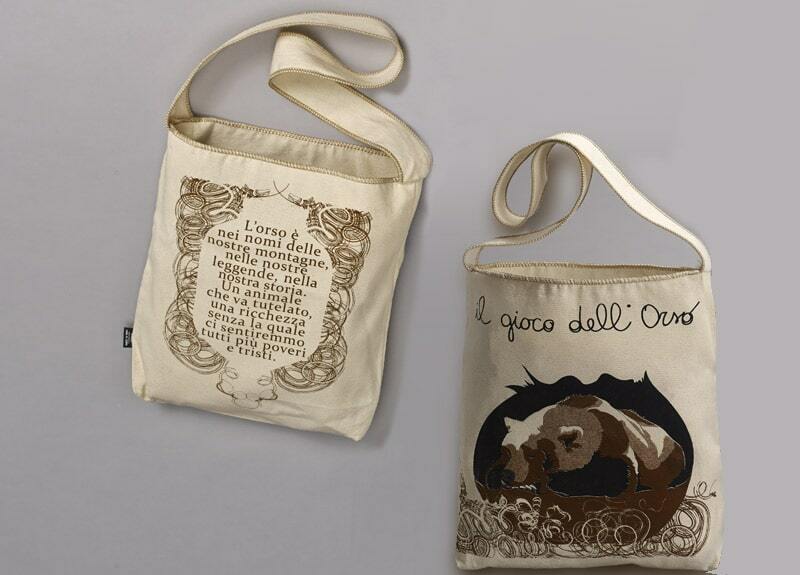 Example of Shoulder bag customized on both sides, silk screen printing using water-based inks. 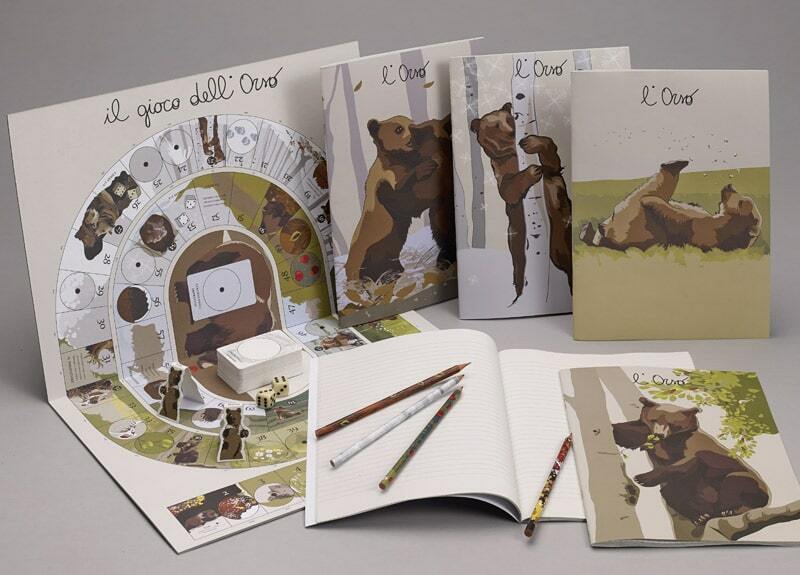 The game is made entirely of recycled paper. 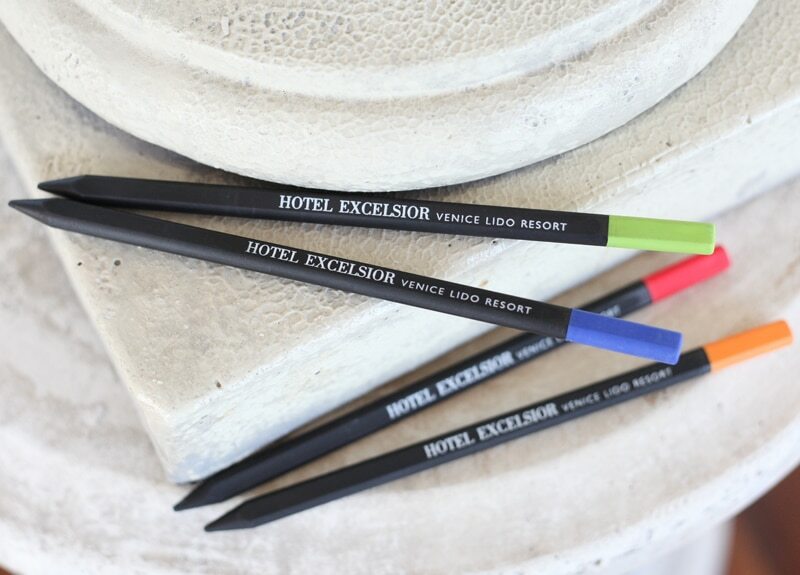 The pencils that go with it are made from recycled plastic, as is the packaging – a shoulder bag made from Gabardine cotton, customized on both sides. 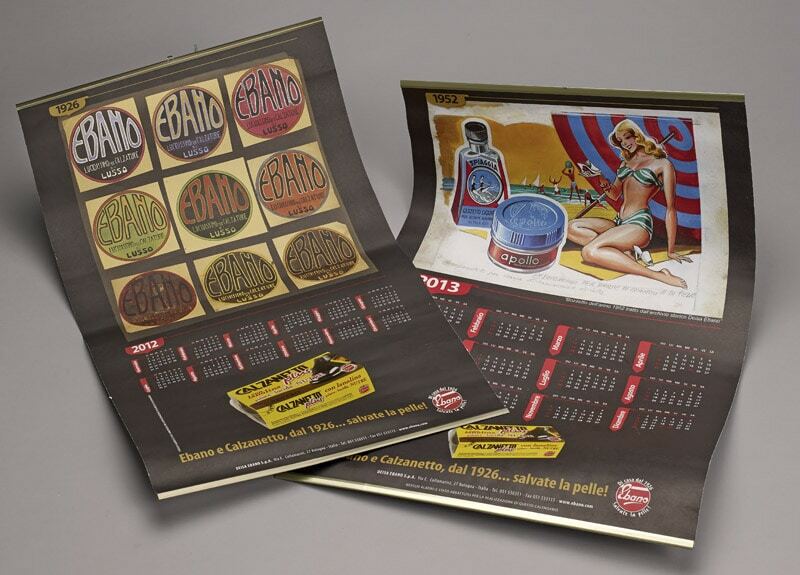 The images are from advertising posters from the ’50s. They come from the company’s historical archive. 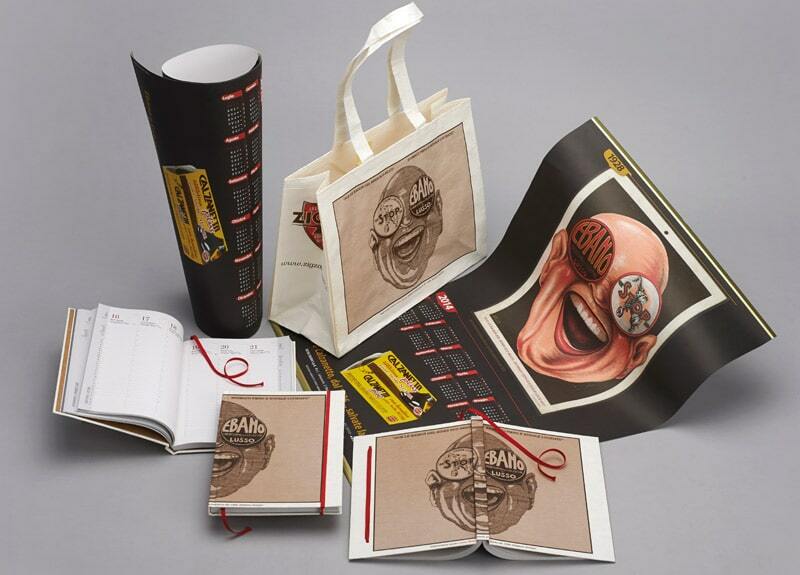 The paper used for the calendars and agendas is 100% recycled. 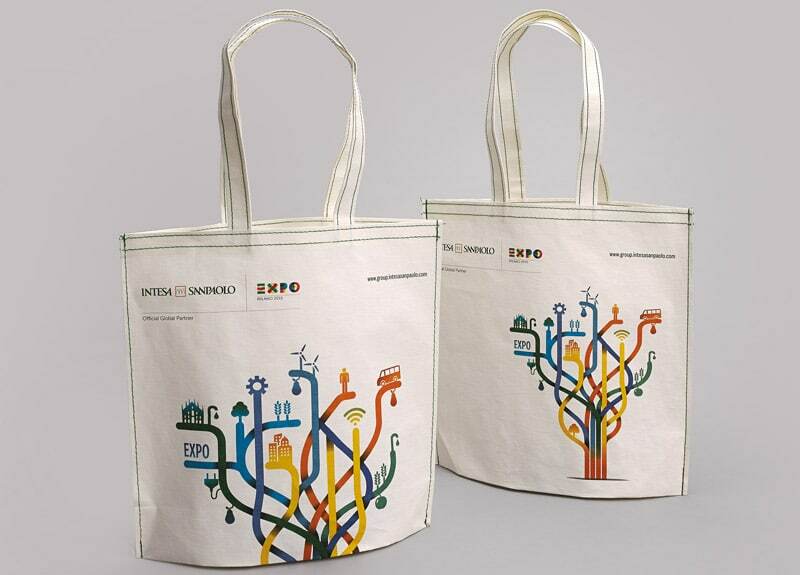 The embossed paper Origami shopping bag is FSC-CW certified. 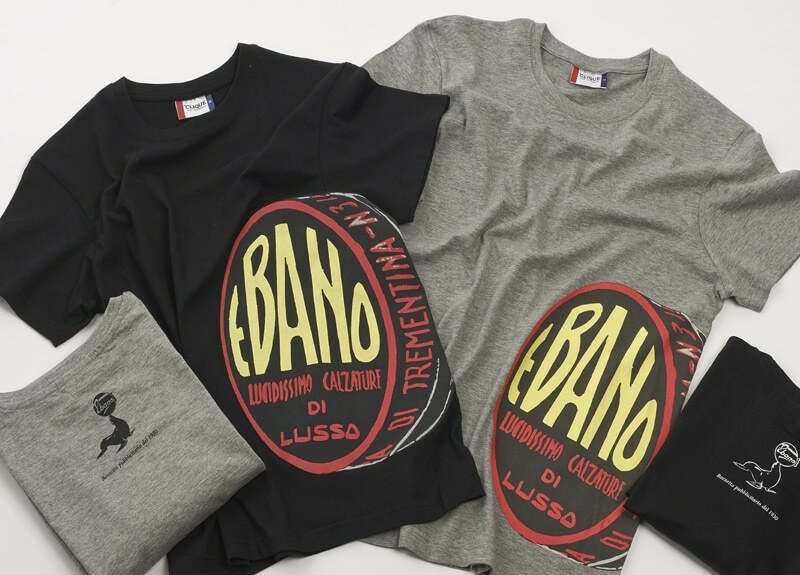 Cotton t-shirt printed using water-based inks. For the calendars 100% recycled paper.